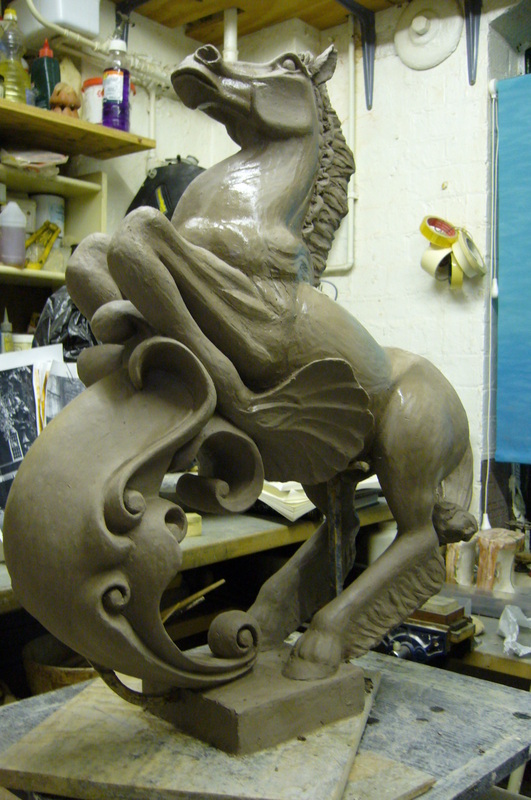 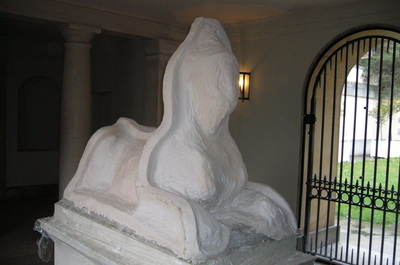 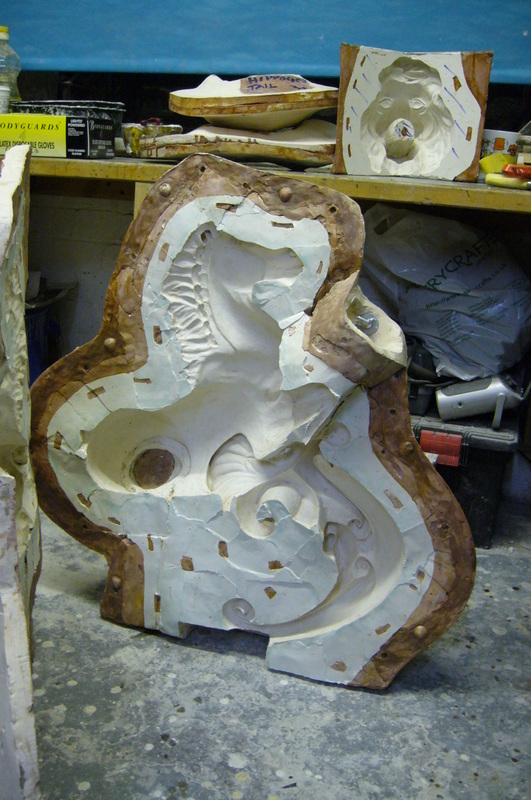 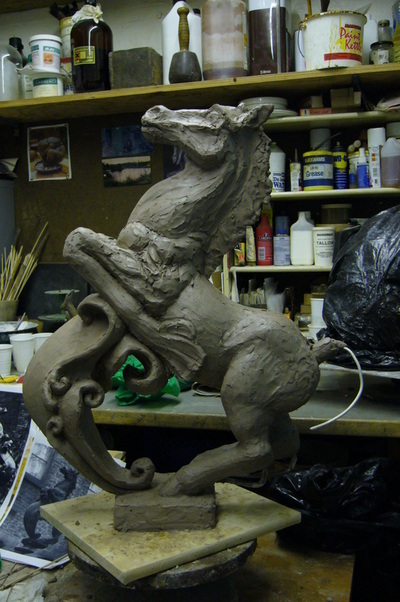 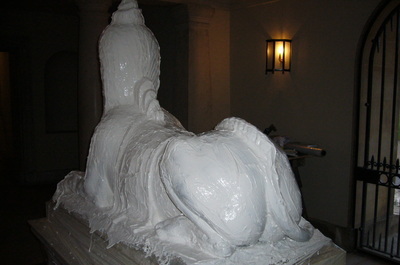 Hippocamp modelled from photographs of stolen sculpture, in order to restore Mount Street Gardens Fountain. 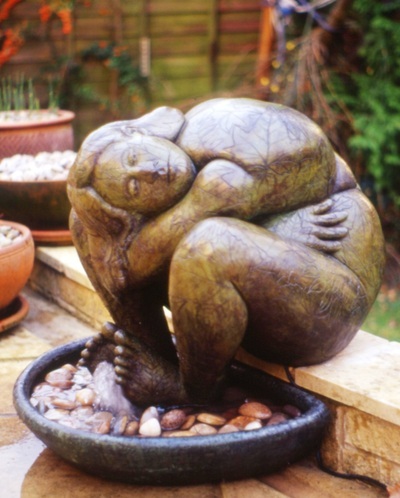 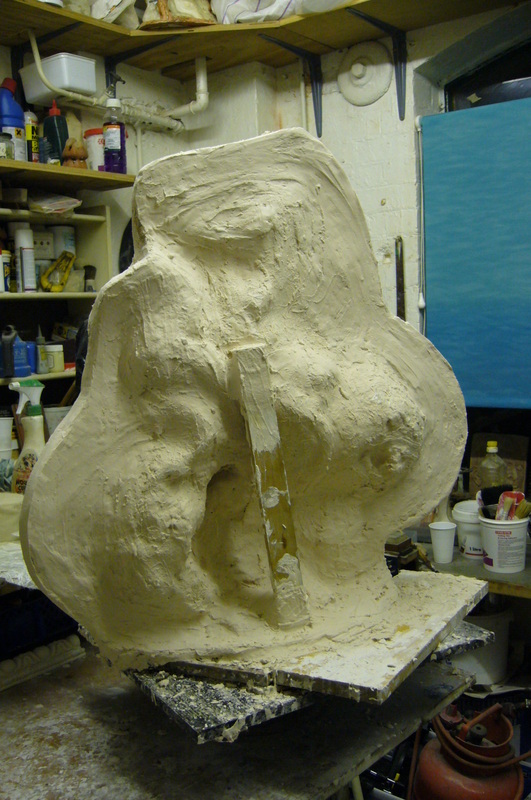 Modelling sculpture. 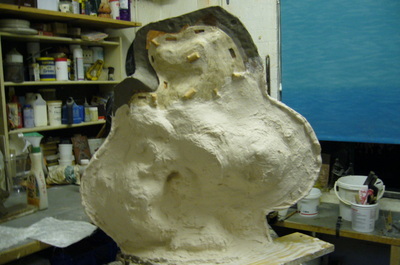 Taking a mold off the clay model ready for wax cast. 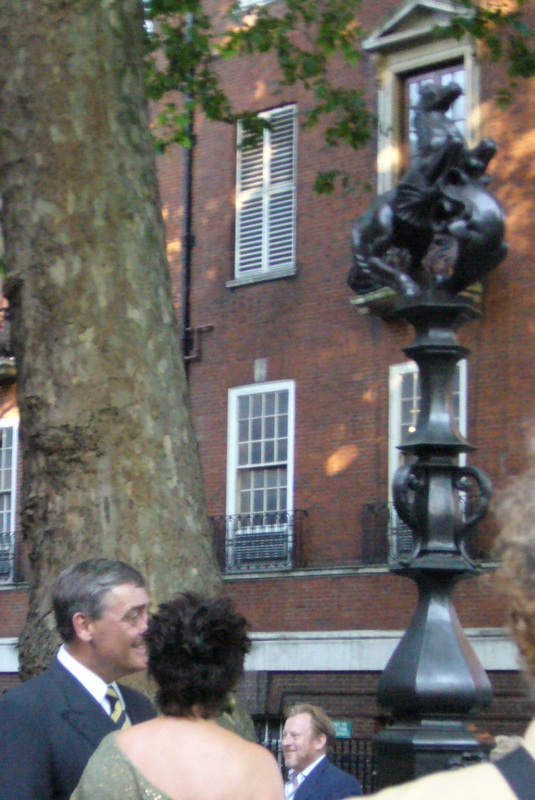 Final bronze cast in situ for opening ceremony by the Duke of Westminster. Modelling and molding carried out by Irene Gunston on behalf of Rupert Harris Metal Conservation. 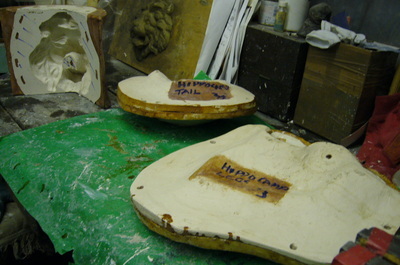 Finished mold of tail and back legs, ready for wax impressions to be taken from them. 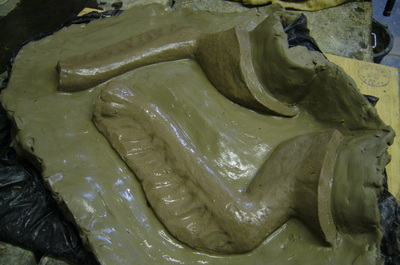 Clay model before legs and tail are removed. 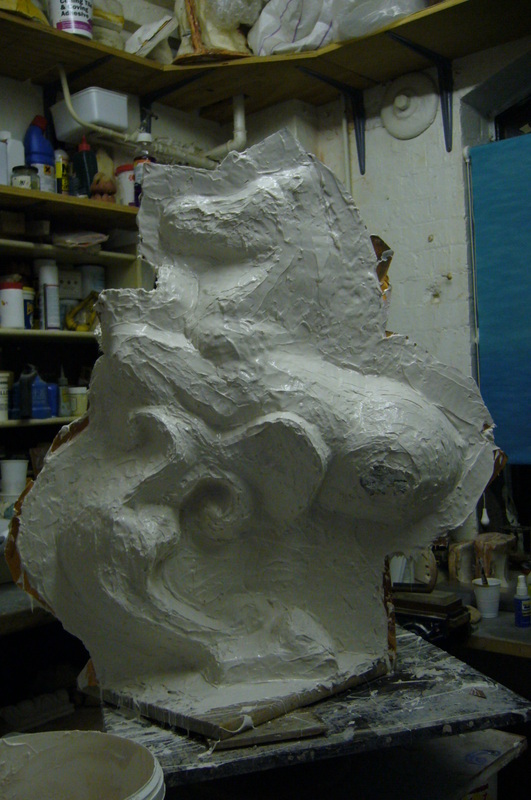 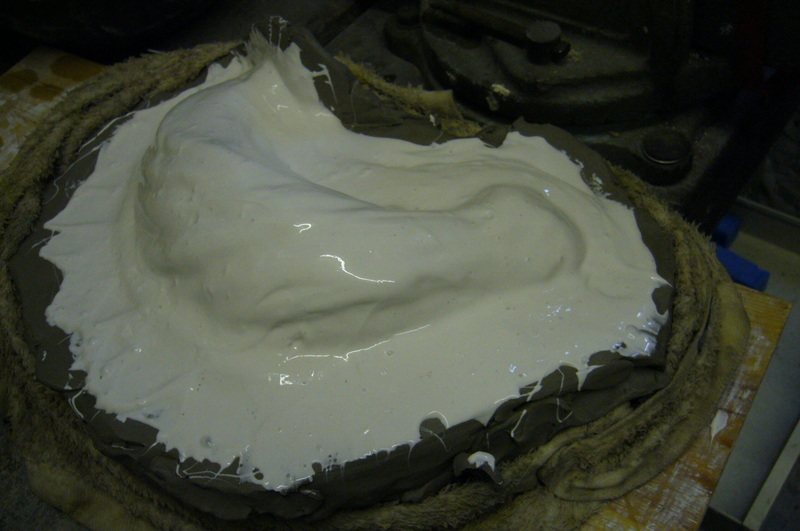 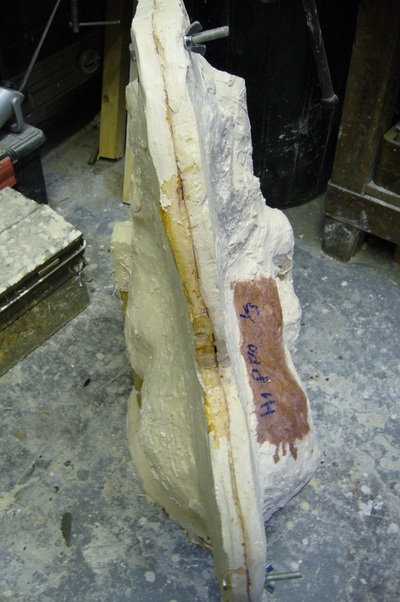 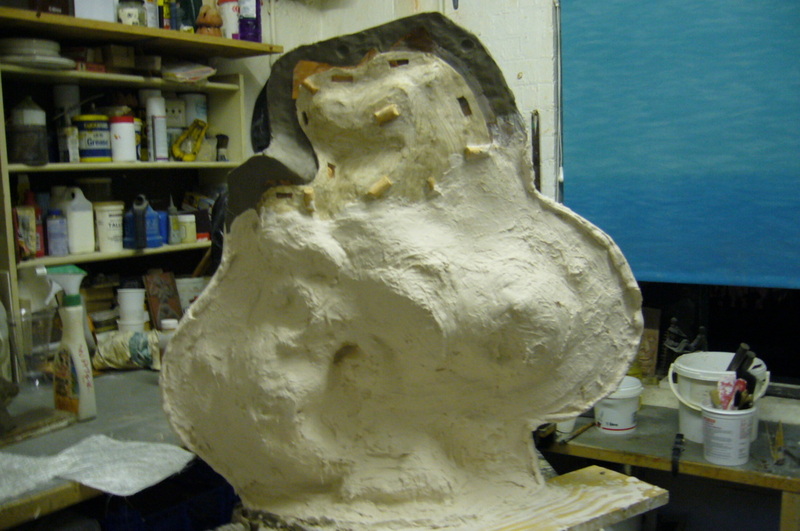 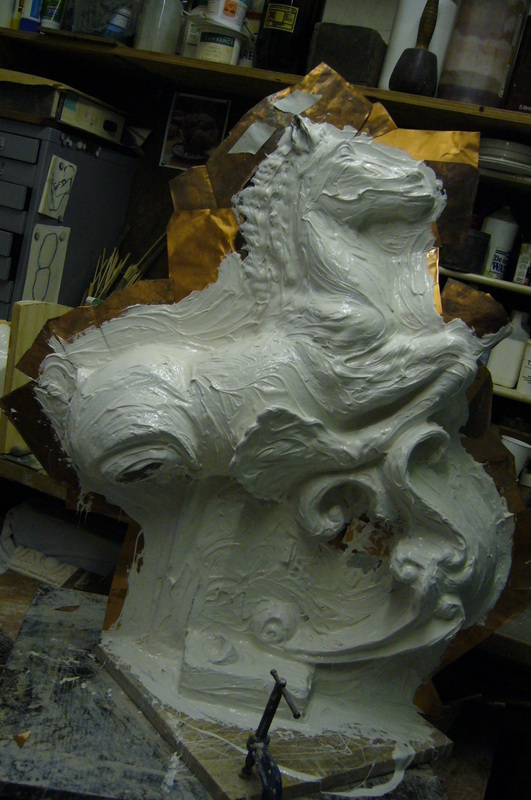 Rubber layers built up for thickness and ease of sliding off plaster support from castings. 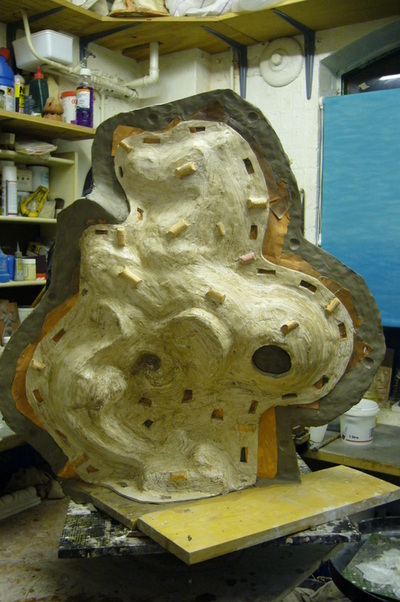 Rubber completed with location keys attached, and clay wall ready for making plaster section. 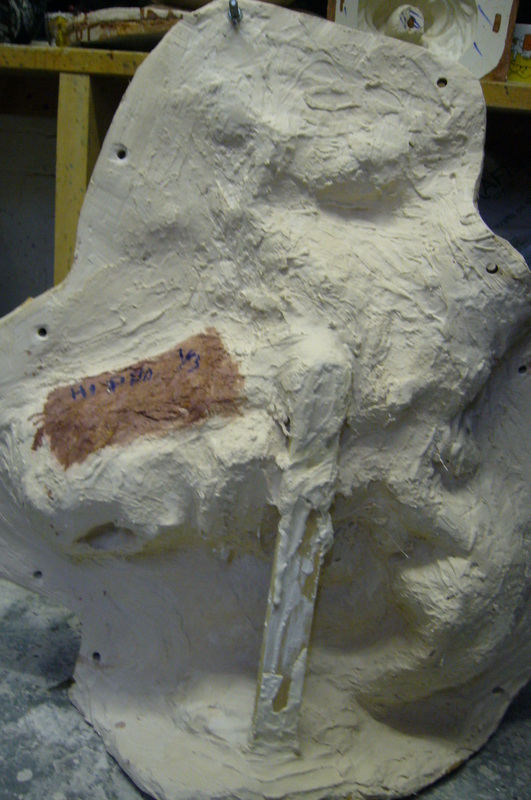 First plaster section complete with wooden support/handle. 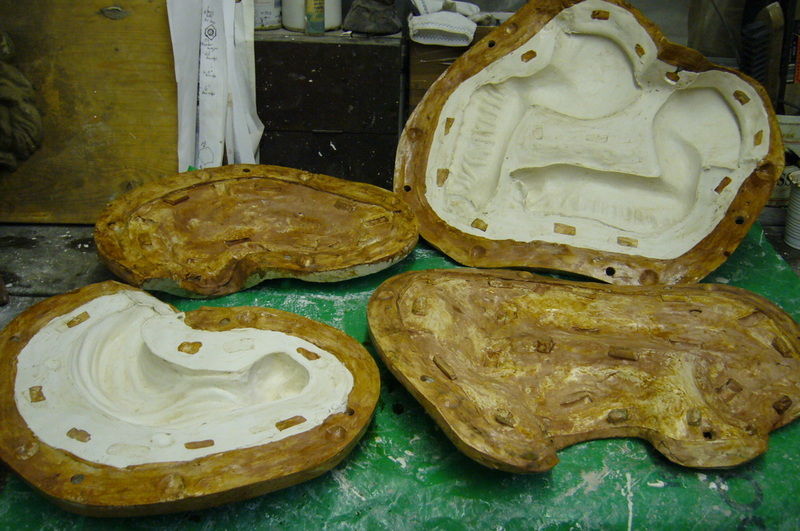 Mold completed and labelled ready for wax impressions. Mold completed and opened ready for wax-working. 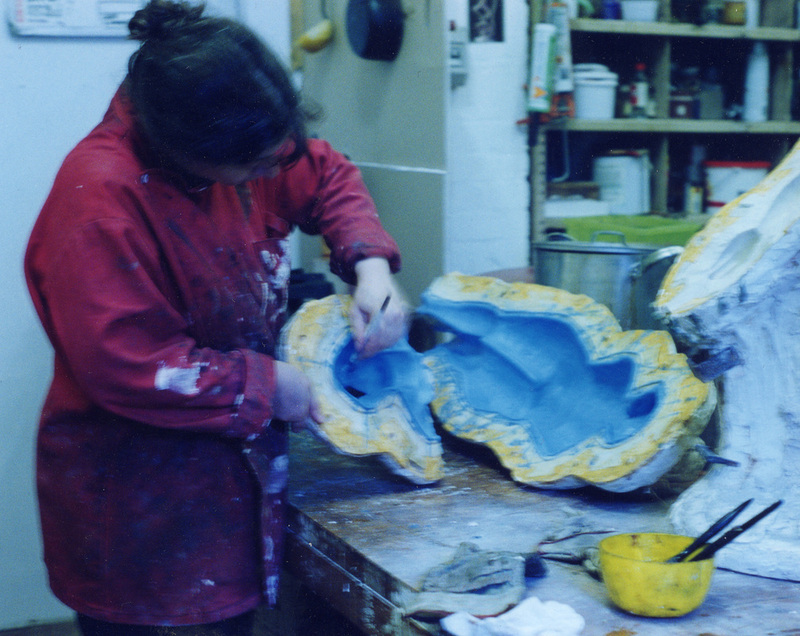 A two day conference held at the Royal College of Art to coincide with the Royal Academy BRONZE show. 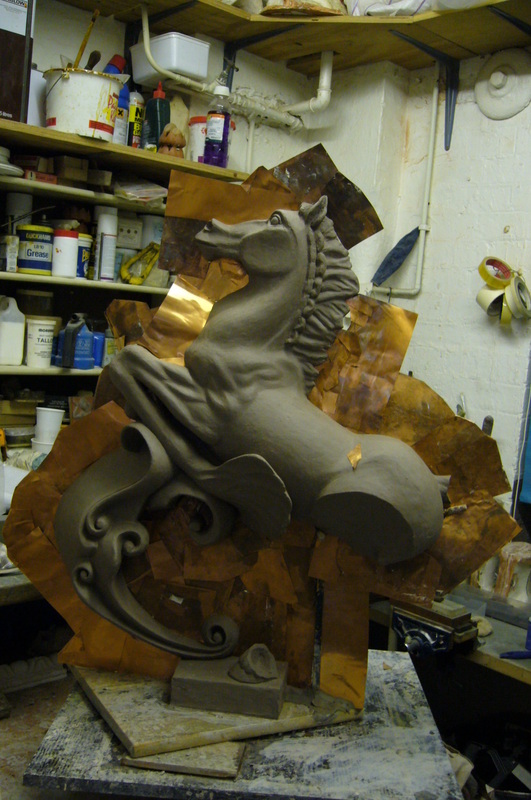 Organised by Irene Gunston (Foundry Manager) and Dr Trish Lyons (Research Tutor). The event comprised of - Lectures, Round Table Discussions, Pop up Exhibition, Private Viewing of RA exhibition and reception at the Founders Guild Hall. 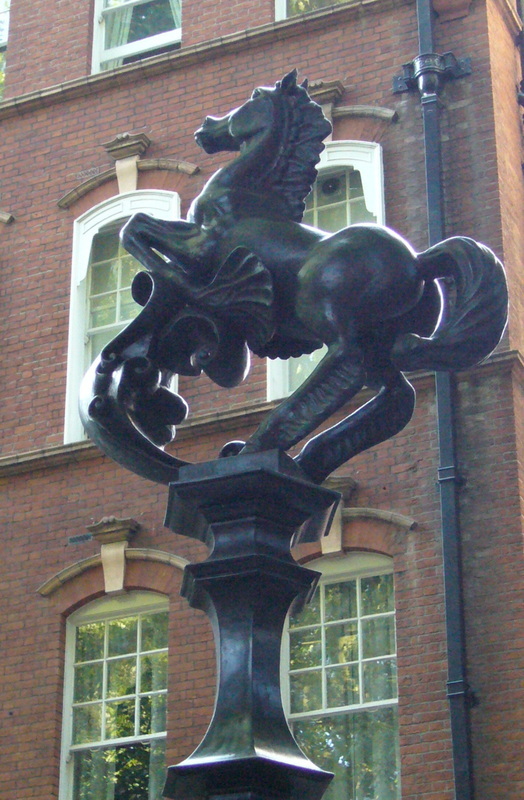 The Event was supported by the Royal College of Art Research Department and the Worshipful Company of Founders Livery Company. 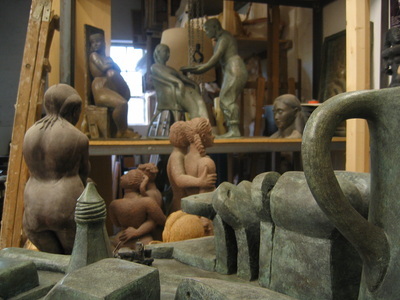 The participants participants included - Art School Foundries, Commercial Foundries, Conservators, Artists, Art Historians Curators, and independent cast metal workers. 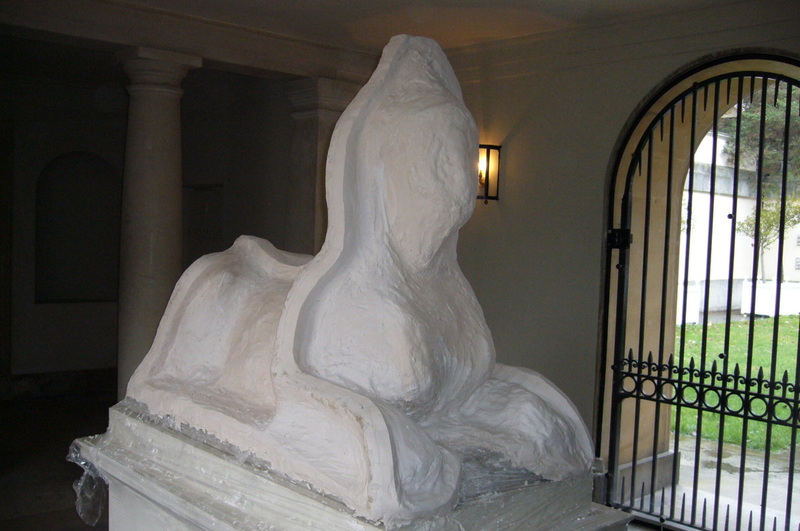 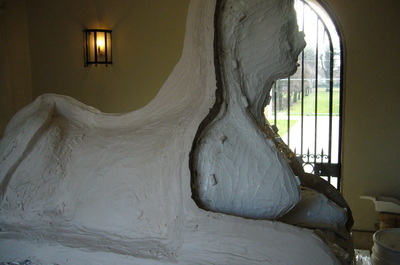 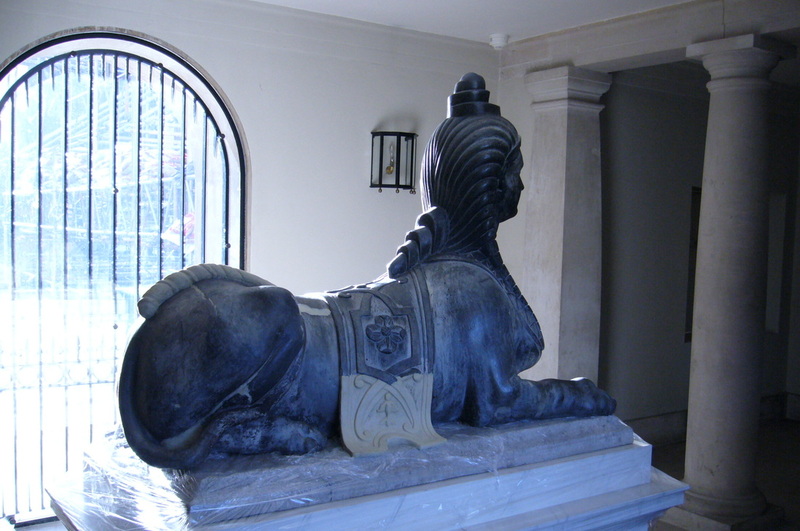 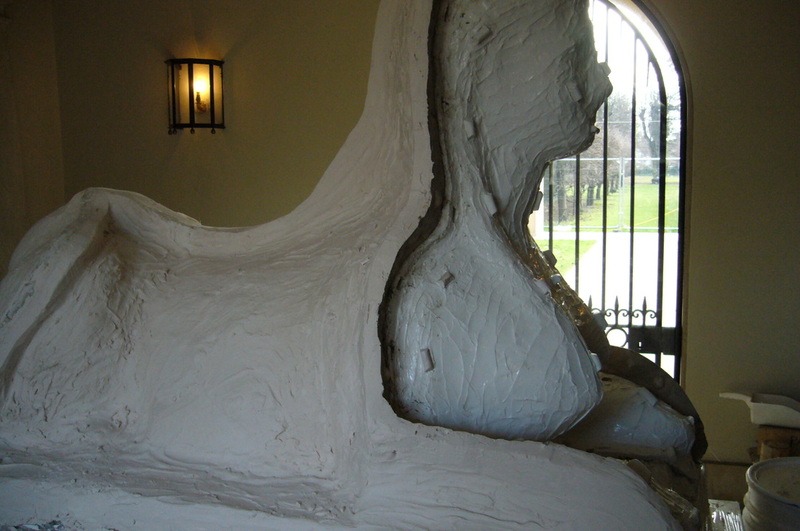 Molding lead sphinx in situ at Chiswick House by Irene Gunston (on behalf of Rupert harris Metal Conservation). This enabled new casts to replace missing originals, which historically found their way to adorn one of the Green Park Gates. 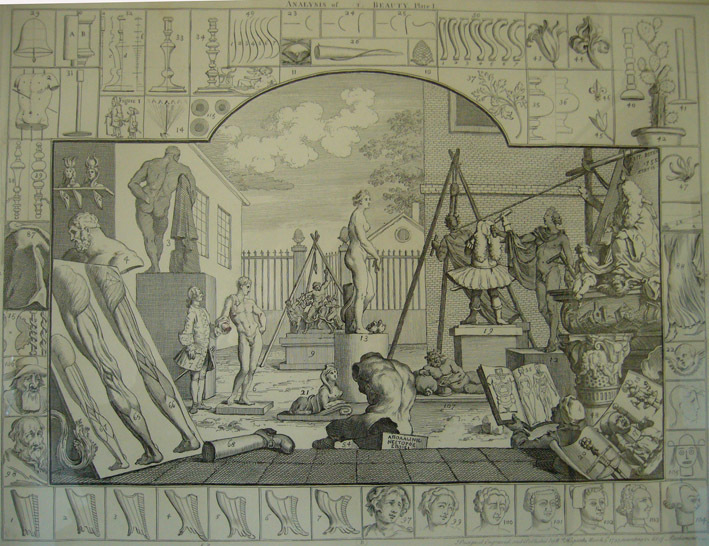 The Sphinx was cast by John Cheere in the 18th Century and a version is portreyed in the Hogarth print of the Analysis of Beauty, which shows the Sculptors yard at Hyde Park Corner. 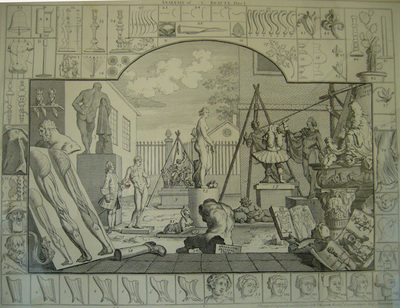 Hogarth print on Sculptors Yard - showing example of John Cheere Sphinx on ground. 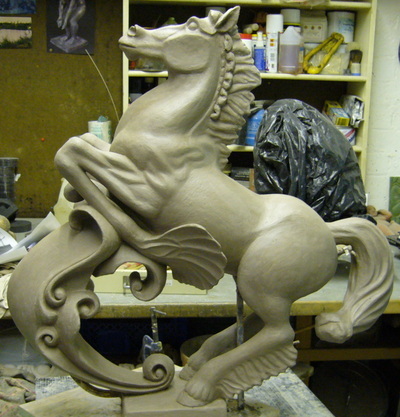 A project that will take place over several years culminating in a large event in 2019. 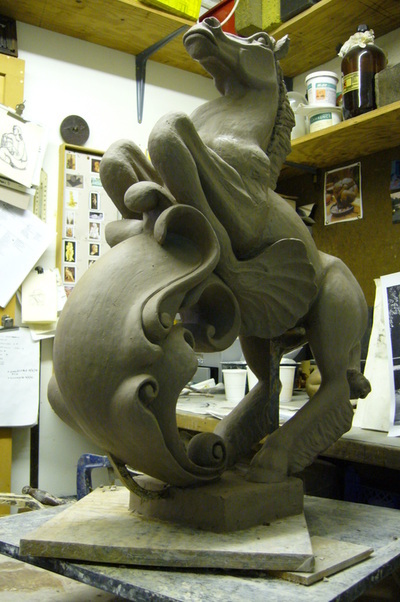 The source and inspiration for the project is the Poem Poly-Olbian by Michael Drayton and an illustration by William Hole. 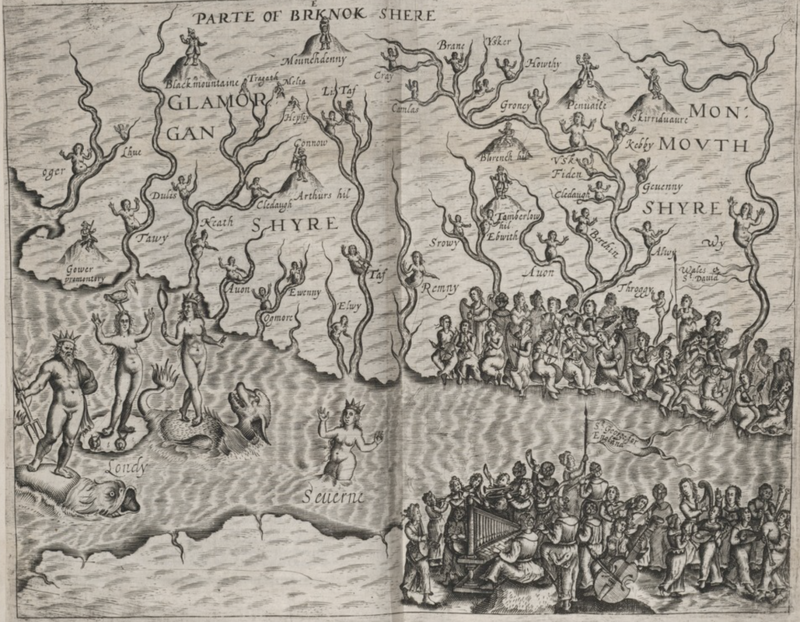 The Fourth Song describes the English and the Welsh competing in song to establish their rights to ownership of Lundy, this will form the hub of the work. 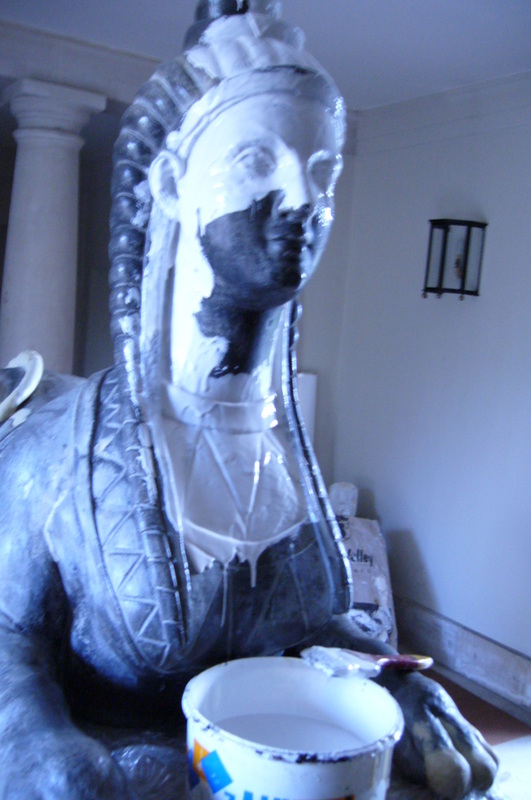 As well as the personal work that will be undertaken by Irene Gunston, there will be Artist gatherings at Lundy, mapping, poetry, performance and film events.